The attached template file gml2geomedia.fmwt translates TOP10 to GeoMedia 6.0. 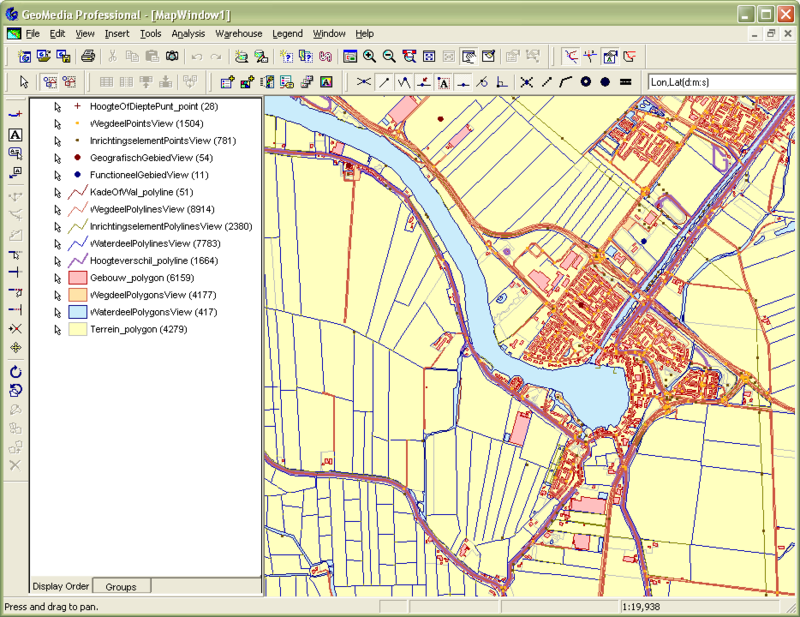 In order to view features, which had multiple geometries in TOP10, in a normalized form, use Top10.gws GeoWorkspace. Open it in GeoMedia after the translation is finished, it will report an error by opening Access Connection 1. Set correct path to the MDB file and save the GeoWorkspace. Note. Views in this GeoWorkspace are not editable. The workspace geomedia2gml.fmw translates geomedia features back to TOP10 restoring the original model with multiple geometries per feature. The workspaces in the attachment section were tested with the build 2576 and 6538. Note, that the attached examples will work with the Relay example file. 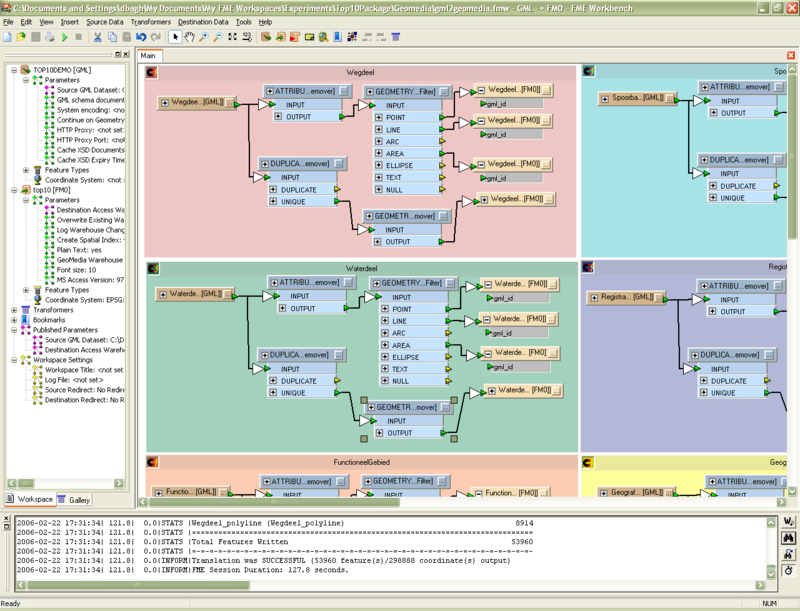 Some of the feature types were not presented in that file, and they didn't get into the Geomedia database and geomedia2gml workspace. The attached examples illustrates the technique applied to Geomedia, and should be used with care - some modification may be required to work with another datasets. The sample source file TOP10DEMO.xml is included in the gml2geomedia template file.